UNLIKE ANTHING ELSE. This radical, risky kind of hospitality—along with its implications regarding Christian evangelism—pointed to something beyond what I was seeing in the practice of compassion in rescue missions and professional social work in our city. Rescue missions did the “soup, chapel, and bed” routine, but the line between evangelizing volunteers and “homeless people” was sharply drawn and relatively few escaped this system of compassion. Likewise, professional social workers in the community center I led at the time often felt trapped in merely dispensing demanded entitlements for persons defined almost entirely by their deficiencies, vulnerabilities, and at-risk lifestyles. Staff burned out quickly. IS THERE A BETTER WAY? It was clear to me that in both typical rescue mission and professional social work, the givers felt taken and the takers were perceived to have nothing to give. There had to be more to compassion and the hope for personal and social transformation than that. Perhaps this idea of hospitality offered a better way. John -- I hope there is another way. But I honestly feel very little hope about it these days. We, in the church, I'm afraid -- are part of the problem rather than part of the solution. 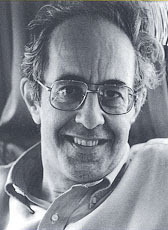 I thank you for reminding us of Nouwen's words and challenge. He was a powerful influence on me. In many ways. He was the first Catholic priest that I ever received communion from...he was the first professor or priest that I was ever arrested with...He was so honest and open in talking about his sense of call and what was possible. Just writing about my experience of him now, gives me a sense of hope from where I started in typing this comment. Henri certainly lived his life as if -- even if things would not be different, even if hope was gone -- he would not bow and bend away from living the way he felt we were called to live. What a joy!